A dramatic par 3. 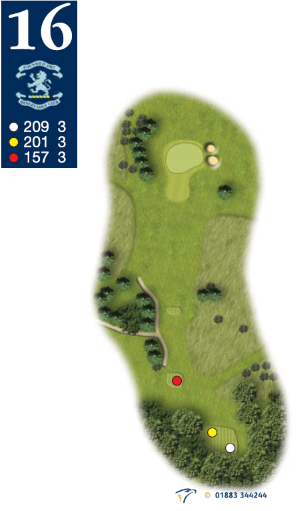 The best line is the left hand corner of the green. Don't forget the green is raised so the ball has to be hit the full yardage. Watch out for the wind.